League One side Portsmouth have signed forward Joe Mason on loan from Premier League club Wolves until 2 January. Mason scored six goals in 35 league games for Wolves after signing from Bolton in January 2016. 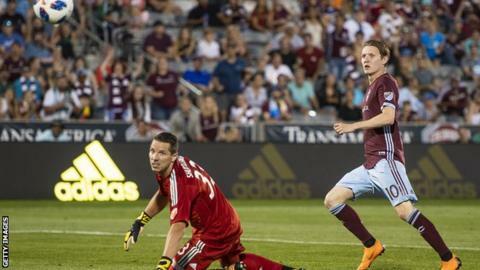 The 27-year-old had loan spells with Burton Albion and US Major League Soccer club Colorado Rapids last term. "We worked together at Wolves and he's a player who's spent much of his career in the Championship," Pompey manager Kenny Jackett told the club website.